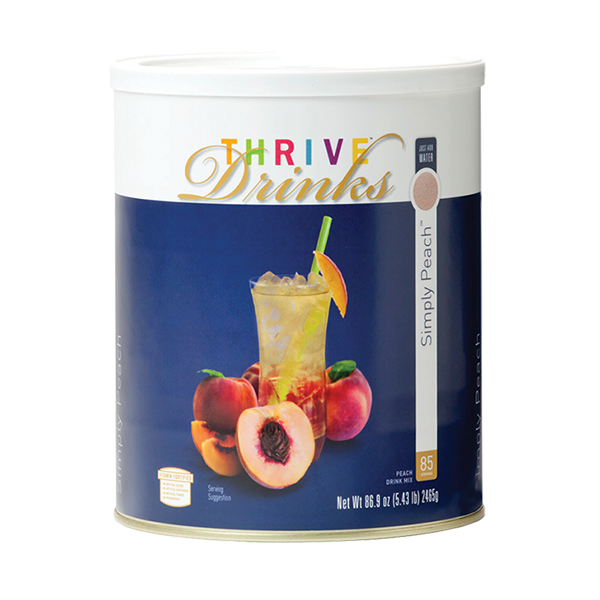 Made with real fruit powder and natural flavors, Thrive Simply Peach is a naturally refreshing way to quench your thirst. It's fortified with vitamins so you'll stay energized throughout the day. Add 2 tbsp. drink mix for every cup of water and stir until dissolved. Use them to make gourmet drinks for parties-add 7-Up to give them some fizz. Or freeze them to make fruity popsicles!